The idea for this puzzle may, just may, have evolved during a quieter day at the office. Sometimes you don't have to look too far for inspiration, I guess. What's hopefully fun about this one is the sense of motion it implies. I'm particularly excited though about the graphical elements introduced in 48-Across; nothing wrong with good ol' reliable circles and shaded grey squares, but I'm very happy that Will Shortz was up for something different here. Originally KNOBANDTUBE, as in the old style of electrical wiring, was the first theme entry in this puzzle but that was deemed too obscure. Anybody overly disappointed to see it go? (If you've ever had to replace knob and tube wiring for real, you probably weren't disappointed at all to see it go). Enjoy the puzzle, but kids, don't try this at home. I don't know much about art, but a docent once mentioned how some famous painting did an amazing job of capturing kinetic motion. Not being able to recall the painting or even the artist, I obviously wasn't paying attention, but the idea stuck with me. Paul's puzzle reminded me of it today. What a neat concept, representing an ELASTIC BAND (that's what they call rubber bands in Canada, eh?) stretching, stretching, and then SNAPping. Cool to see something actually "moving" in the puzzle. And Paul's longer fill added so much to my solving experience. BET IT ALL and SWINDLED, both colorful entries. 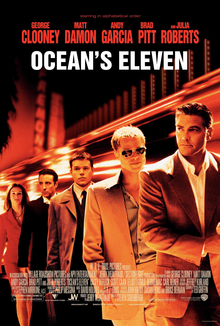 There's a reason I've seen "Ocean's 11" 21 times. And ISOMERS ... I'm awed by at nature's persnickety behavior, like when the R-isomer of a drug is active in a molecular target, while the L-isomer is inactive or even toxic. Crazy stuff. Totally confused by [Big prune?]? Clever clue; "prune" and "lop" being synonymous verbs. And for those of you WHIPPERSNAPPERS, "Three's Company" was one of the many sitcoms I watched as a latchkey kid. It's such an offensive show! But man oh man did I love it. I would have preferred not to have CASITA cross ITA. Yes, ITA got disguised as IT A, but it strikes me as inelegant, since CASITA is a Spanish CASA + diminutive ITA. And REEARN by itself is passable — REEARNing someone's trust is almost as good as "earning back" trust — but adding in RESALE made it feel like too much. Finally, seeing a DRAGON in the lower left isn't quite worth getting both an AGR and ENS. But today is a case where Jim's viewpoint won me out; a really neat theme far obscuring the little nits I had to pick. Great solve today. The grid uses 20 of 26 letters, missing FJQVXZ. Average word length: 5.00, Scrabble score: 269, Scrabble average: 1.45.